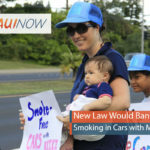 Dogs have a great sense of smell, which wildlife biologists believe may be able to help save endangered waterbirds in Hawai‘i. 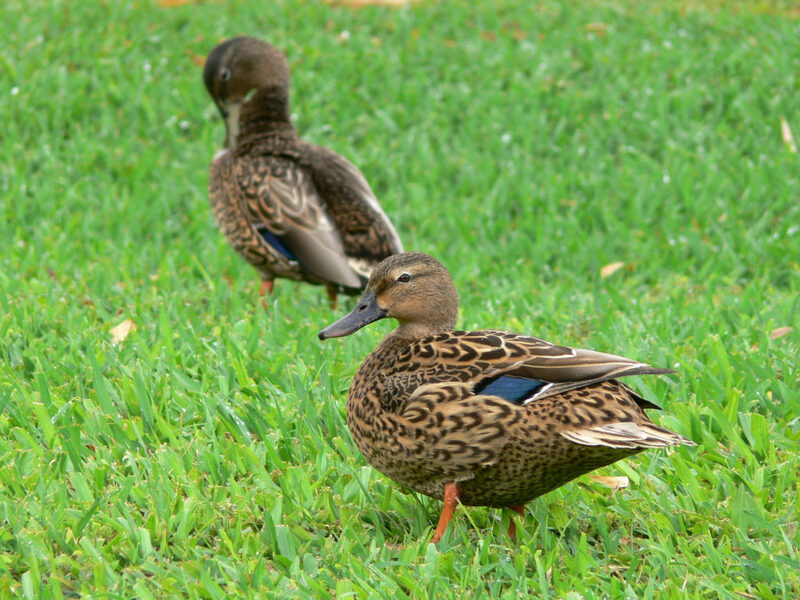 Dogs are currently being trained at the Hanalei National Wildlife Refuge to sniff out endangered ducks (Koloa maoli) that have died from avian botulism. Since 2011, avian botulism has killed over 1,200 endangered waterbirds at the Refuge. 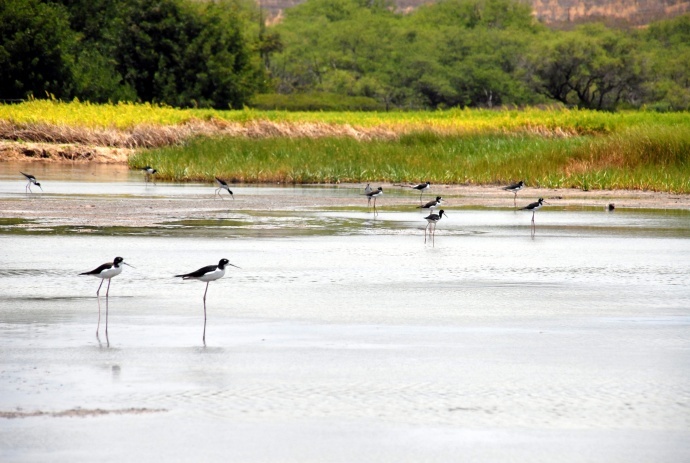 “If you can detect the first case of avian botulism more effectively, you then have an opportunity to stop the outbreak quickly,” said Heather Tonneson, Refuge Manager of the Kaua‘i National Wildlife Refuge Complex of the USFWS. The pilot project, which is being conducted in partnership with U.S. Geological Survey’s Pacific Island Ecosystems Research Center, will test the efficiency of trained canines compared with people conducting avian botulism surveillance at Hanalei National Wildlife Refuge. Data collection and operational surveillance for avian botulism began in November and the project will run through March 2018. 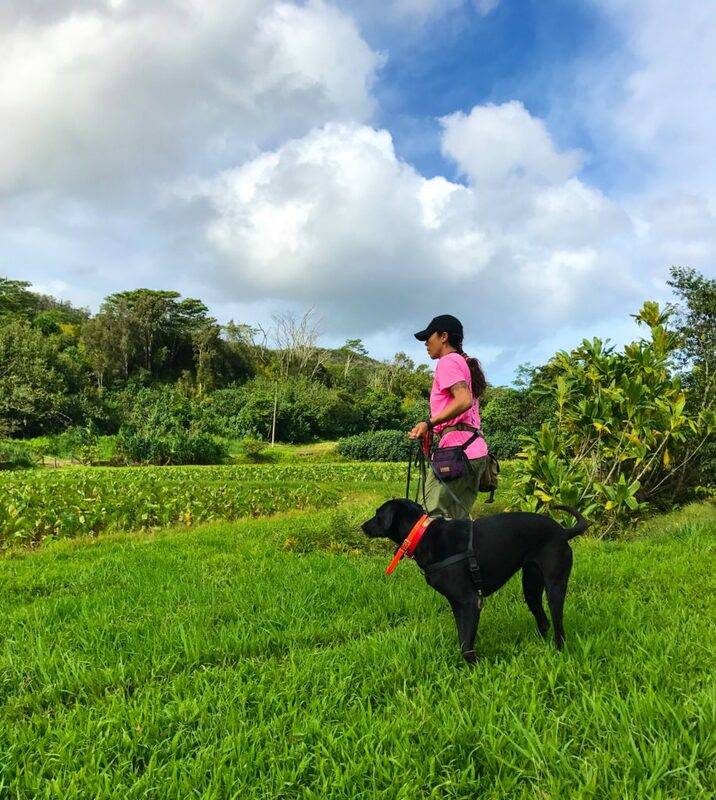 It’s not yet known how effective this approach will be or if the dogs will be able to pick up the scent from large, densely-covered loʻi kalo, especially taking into account highly variable weather patterns and other factors, but so far the pilot program shows promise. Avian botulism is caused by poisoning from the bacteria Clostridium botulinum (type C) and, like wildfire, the disease can rapidly spread from bird to bird. The bacteria can thrive in warm, stagnant, nutrient-rich conditions, where invertebrates, a favored food of the birds, concentrate the toxin. Undetected carcasses that remain hidden under kalo and other plants produce more toxin which spreads to other healthy birds that feed in infected areas over a very short time period. 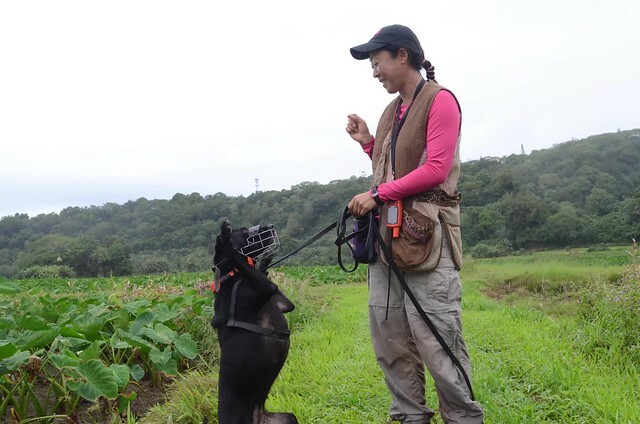 In addition to implementing timely water management techniques, such as managing water levels, circulation, and temperature, researchers think using trained detector dogs will allow rescuers to respond more quickly and effectively to avian botulism outbreaks; therefore, saving more birds lives. Photo by Michelle Reynolds / USGS-PIERC. Public domain. The Refuge has also been working on a number of other projects and partnerships to help reduce the occurrence of avian botulism, including increased water flow and quality monitoring, revision and distribution of avian botulism response protocols, in-depth analysis of existing data to characterize hotspots and factors that cause or exacerbate the disease, and water infrastructure mapping and improvements to the main irrigation system. Working closely with kalo farmers, Refuge maintenance staff were able to design, procure, and install major water infrastructure improvements in numerous loʻi kalo and surrounding ditches these last several years, which has already resulted in an immediate decrease in the number and intensity of outbreaks within those areas. 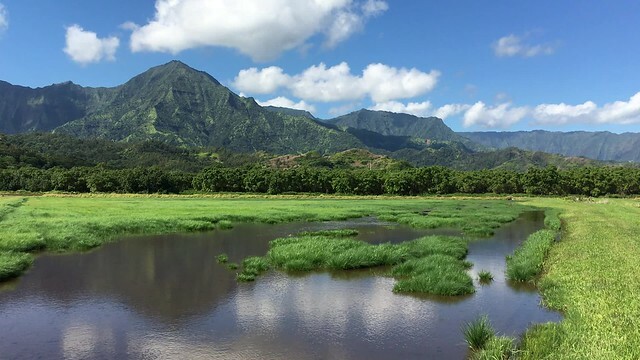 With its patchwork quilt of loʻi kalo and wetland management units, Hanalei National Wildlife Refuge is the oldest of Kaua‘i’s three national wildlife refuges. The 917-acre Refuge was established in 1972 to recover threatened and endangered species, including endangered waterbirds that rely on the Hanalei Valley for nesting and feeding habitat. Learn more about the refuge by visiting our website: www.fws.gov/hanalei or call Jennifer Waipa at (808) 828-1413 x2228.